Starting this blog has brought me many things I expected (an outlet for writing, a way to be creative) and many I had not expected (lots of new skills, confidence, breaking me of some of my Type A tendencies). One of the biggest gifts of this blog is the entrance it earned me into the tight knit blogger community. I have made some great friends who have shared technical tips and inspiration along the way. My co-worker and friend Molly from the great blog Pop Bop Shop invited me to participate in “My Writing Process Blog Tour.” It’s a pay it forward initiative with bloggers answering the same four questions and sharing details of their writing style and inspiration each Monday. In her introduction of me last week she called me her bloggy hero, which is so flattering because she has had such amazing success with her blog, that I feel like chanting “I’m not worthy, I’m not worthy” whenever I’m with her. Pop Bop Shop has a little bit of everything: amazing restaurant reviews, especially for vegetarian foodies out there, shopping, details on her travels and a weekly Grey’s Anatomy recaps that keep her very loyal readers coming back. That is a longwinded way of saying that I respect Molly’s work—and enjoy her company—so much that it was easy to say yes to the Writing Process Blog Tour. 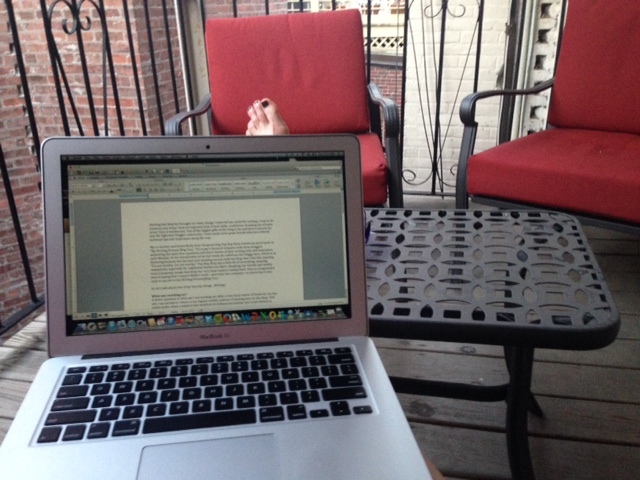 So let’s talk about one of my favorite things…Writing! A better question is what am I not working on? After a very busy winter of travel for my day job, I am excited to return to my regular weekly cadence of posting here on this blog. I felt pretty guilty when a week or two would go by without me posting, but I truly believe in quality over quantity. I have pretty high standards; you know that by now, so I will not post anything that is not worthy of you spending the time to read. So I’m planning an exciting summer of adventures and experiences for you (and me). In additional to this blog, I also have a demanding day job that pays the rent. Thankfully I get to interview, write and edit as part of this job as well, plus I have the pleasure of working with some of the most intelligently creative people out there. I’m not that good with unstructured time, so I also take on freelance writing projects, some of which I am really excited to share with you once the deals are done. And as if that was not enough, I am forever toiling with what I hope is the next great American novel, or at the very least, a nice beach read. Honestly, I think this has been one of my biggest challenges in trying to grow this blog; The Great Wide Open does not fit into any existing blog genre so it’s hard to explain to people, particularly potential advertisers, what it is that I do. It’s not a fashion blog, although I have had fashion-focused posts, and it’s not a food blog although I have written about food and restaurants. For lack of a better way to describe it, I frequently fall back on calling it a lifestyle blog, although that’s really not accurate either. 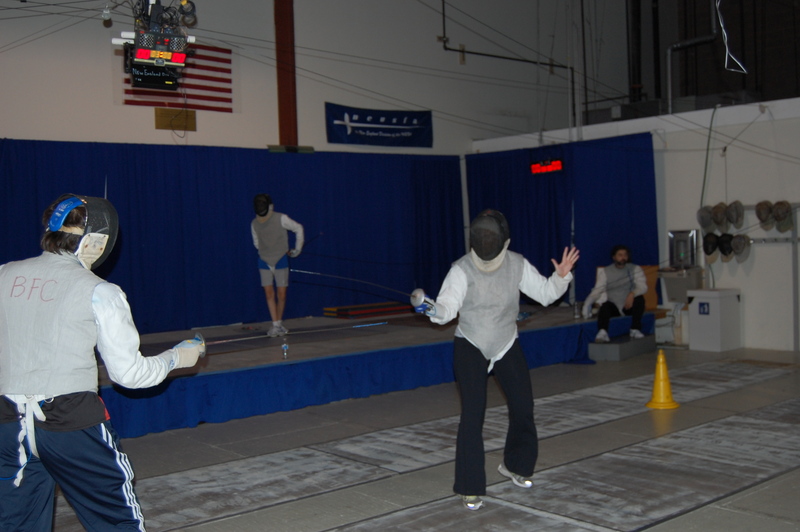 Fencing, for example, is a tough thing to categorize. But don’t think I’m complaining, I would prefer to have to explain my blog in a paragraph rather than a word. I wouldn’t, and couldn’t, write about the same thing day in and day out. What’s the fun in that? As I have learned, investigating and writing about new things keeps me on my toes, and hopefully keeps you coming back. When I decided to start a blog, I didn’t want to just take pictures of what I was wearing that day (not judging fashionistas out there). And I didn’t want to write all about me. I wanted to go back to my roots as a journalist. I wanted to report, interview, take pictures and write. This was always going to be a reporting-driven blog. At the time all my ambitions and aspirations had been solidly focused on journalism, a profession, and passion, I had just left to move to Boston. I had just thrown my professional bucket list in the trash, so it seems only appropriate to start a new one, and try all sorts of new things to see what else I am passionate about. My process is multi-faceted. First I have to come up with a concept: an activity, job or adventure that I think will make for a good post. I consider how challenging or dangerous it will be, whether it will interest a wide variety of readers, and whether it has the potential for me to learn something new…maybe even about myself. Then I start outreach. I send tons of emails to businesses and individuals asking if they would be willing teach me about their passion. I am happy to report that a majority of people say yes. When you love something, you instinctively want to share that. Coordinating time and dates to do my adventures is what takes a while. As I mentioned above, I do have a day job, so my adventures have to happen at night, on weekends or on an occasional vacation day. Writing doesn’t take me very long. Years of writing under tight deadlines for TV have given me the discipline to write quickly and efficiently, especially when I am writing about something I just had a great time doing. I will say that I re-write and edit for ever. I am always finding a way to tweak a phrase to make it “better.” And when I craft a line or paragraph that I think is particularly funny, poignant or strong, the sense of accomplishment I feel can’t be matched. Simply put: I love to write. Kelly from Gets Me Every Time is the brain, and hands behind Toyidermy, which was featured here last year. She is one of the craftiest people I know, in addition to her animal business card holders, she gifted me a framed needle pointed llama for my birthday. Not only is she crafty, but she knows me well. 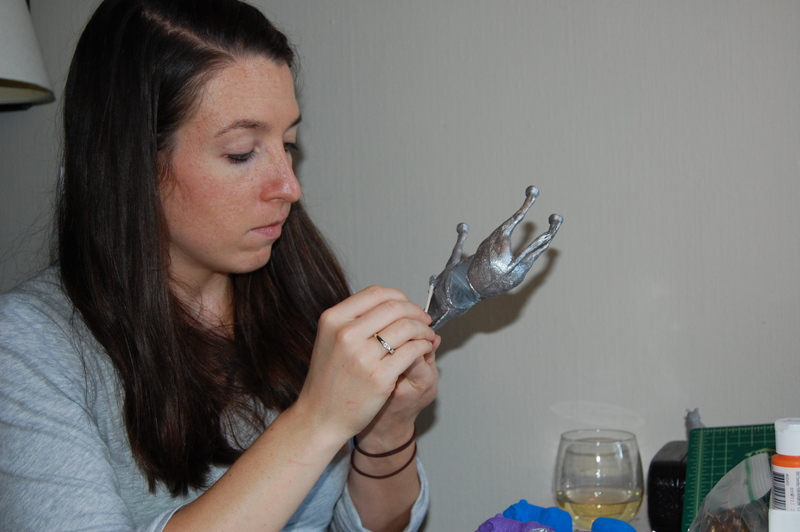 On her blog Kelly chronicles her DIY lifestyle, her gluten-free kitchen creations, her love of dancing (she is the grand-niece of Gene Kelly, so it’s in her blood) and her cat Louise. Judging from the title, you would rightfully assume that Molly from Wicked Cheap Boston keeps Hub residents in the know about what to do around the city, while watching the bottom line. But Molly also doles out tips on the Paleo diet, and her journey to become a licensed massage therapist. You met Molly when she taught me how to be a masseuse (if only I felt more comfortable with rubbing oil on people’s backs). She is kind and thoughtful and super fun. Please check out their blogs, and see how they approach writing next Monday. We will return to our regularly scheduled post next week!